With more than 50,000 plants and five themed trails, the Desert Botanical Gardens contains all the secrets of Arizona’s majestic cacti and other desert flora. Explore five desert habitats along the Plants and People of the Sonoran Desert Loop Trail, or take the Desert Wildflower Loop Trail for a first-hand look at Mexican primroses and other colorful indigenous flowers. During the summer months, take a Flashlight tour to get a better look at the desert at night. The Butterfly Gardens exhibit offers fun opportunities to enjoy the company of monarchs and other butterflies in the fall. 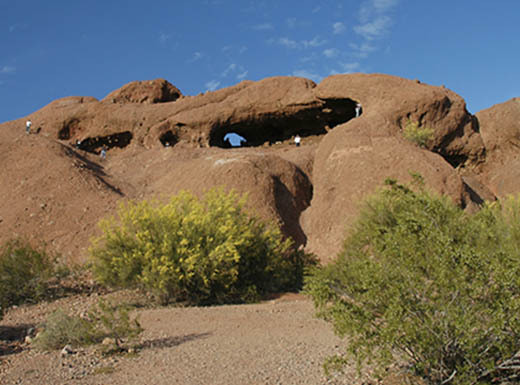 A picturesque rock formation with a cave-like opening, Hole-in-the-Rock at Papago Park is 1.7 billion years old and carved out of Precambrian granite. Access the chamber near the butte’s summit via a steep trail for an awe-inspiring view of the Phoenix metro. 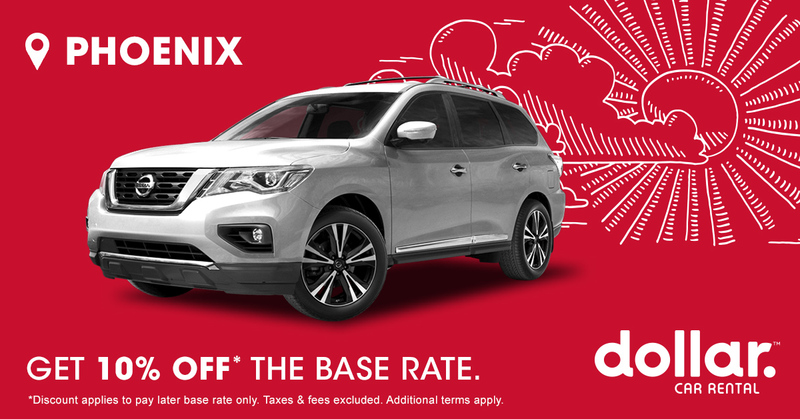 The ancient Hohokam tribe used the Hole-in-the-Rock as a sun watch station. They tracked the position of the sun’s rays on the chamber floor throughout the year, and marked the summer solstice and equinoxes by grinding a bedrock metate slick where the light fell. Look closely, and you can see the markings on nearby boulders. 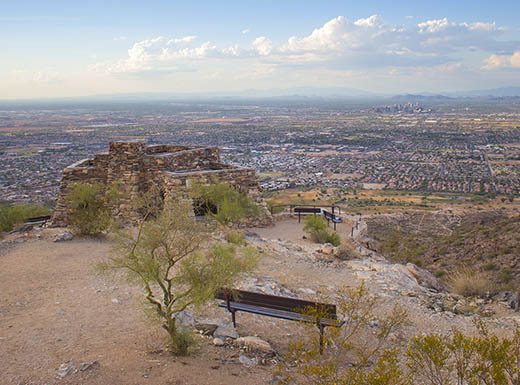 The highest point on South Mountain accessible by trail, Dobbins Lookout has an elevation of 2,330 feet. 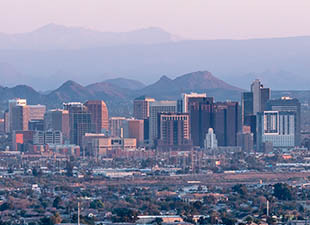 You can enjoy a great view of downtown, nearby Tempe, and the Phoenix Mountain Preserves from the observation tower. 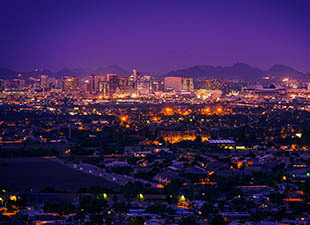 The tower has a compass that points you to the Camelback Mountains, Chandler, Glendale, and other cities and landmarks. You can also look at the valley below from a stone ramada built by members of the Civilian Conservation Corps in the 1930s. The Corps was part of President Franklin D. Roosevelt’s New Deal and provided work for unemployed, unmarried men. The Pioneer and Military Memorial Park consists of seven cemeteries linked together near the Arizona State Capitol. In use between 1884 and 1914, the cemeteries closed after Phoenix passed a law forbidding burials in the city limits. In 1988, the cemetery space reopened as the Pioneer and Military Memorial Park. The park is built on the remnants of a Hohokam village, and archaeologists have discovered a canal and pit dwellings on the property. You may even find pottery fragments on the grounds during your visit. 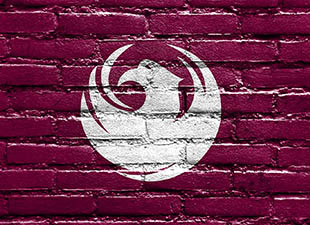 An active Hohokam Indian village between 100 and 1450 A.D., the Pueblo Grande Ruin and Irrigation Site includes remains of a ball court (inspired by Central American influences) and a masonry platform. Take a walk through this National Historic Landmark to explore a combination of features, including Hohokam-built canals and replica dwellings. 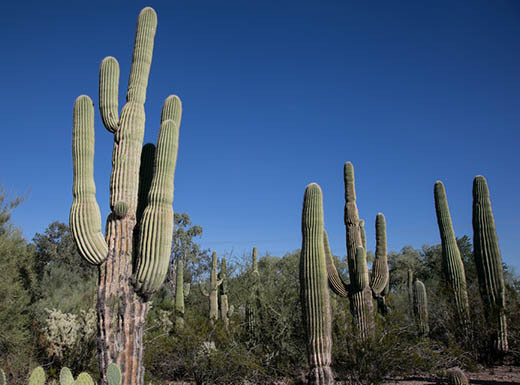 Do you have a favorite outdoor historical site in Phoenix? Tell us all about it on Facebook.